Heat Pump Technology is proven technology. Geothermal systems have been used for over 40 years and millions of units have been installed world-wide in commercial and residential applications. 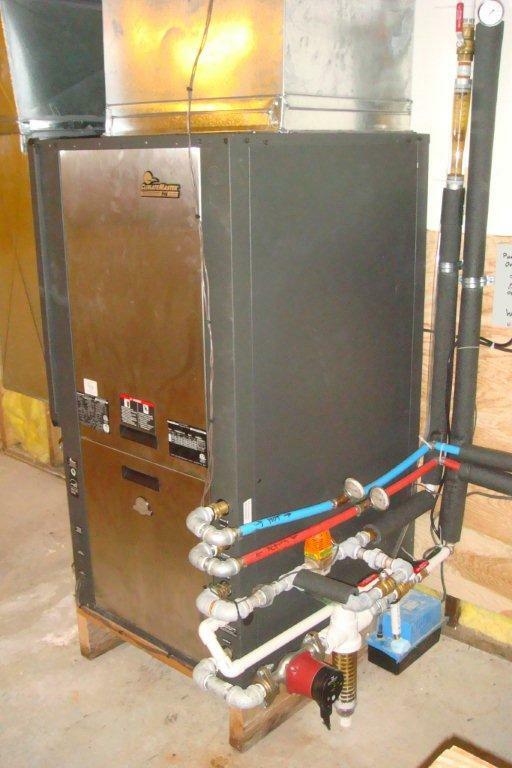 Geothermal heat pumps are the most energy-efficient and environmentally friendly HVAC systems available. Geothermal systems are eligible for federal tax credits and state incentives. Geothermal Heat Pumps keep your entire house comfortable year-round and a geothermal system can be used to provide free hot water. A new geothermal heat pump system heats or cools on demand and provides better comfort and humidity control. SBS-Solar uses units that are placed in a basement, garage or utility room. This helps reduce noise, improves the look of your home and leads to longer system life. Geothermal heat pumps are engineered for long equipment life. SBS Solar does not deal directly with heat pump systems yet can recommend several excellent HVAC contractors to assist with your project. Bottom line, heat pumps win when it comes to heating and cooling both for the pocket book and the environment.